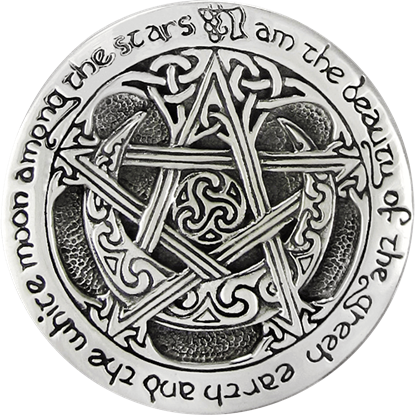 Steeped in meaning throughout the eras, the crescent moon and pentacle come together in the gorgeous Sterling Silver Moon Pentacle Brooch. These symbols decorate the center, surrounded by swirling knotwork and an inscription. Each season brings its own events, ceremonies, and symbolism in the Sterling Silver Wheel of the Year Brooch. 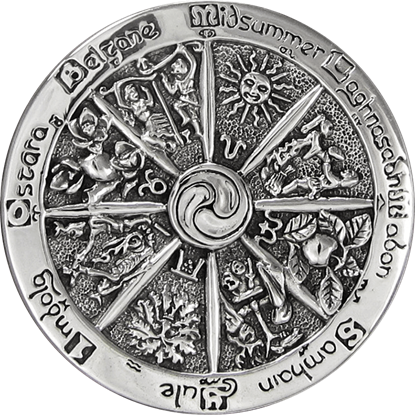 With its incredibly intricate details, this sterling silver accessory depicts the eight sabbaths of Pagan tradition.